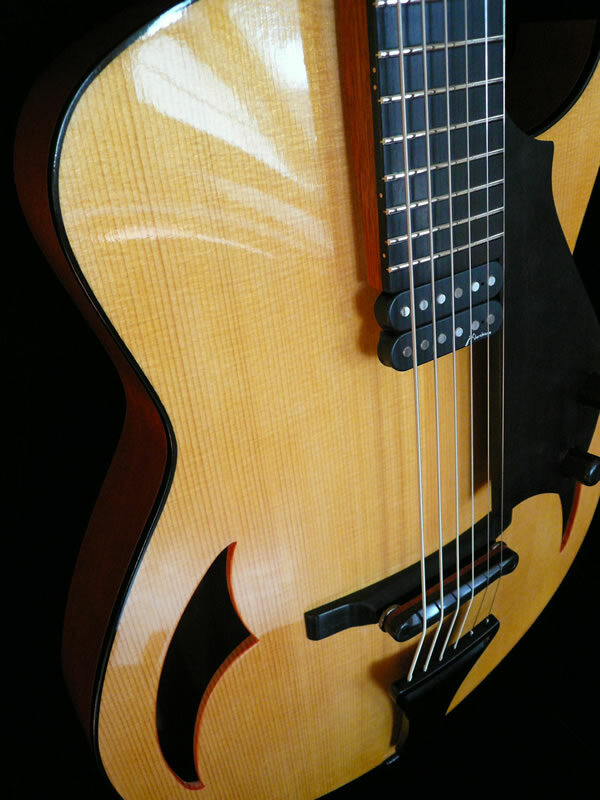 Big, low-end sound from a small, hollow body designs have the best of both worlds with the new Marchione 15″ Baritone Archtop guitar. 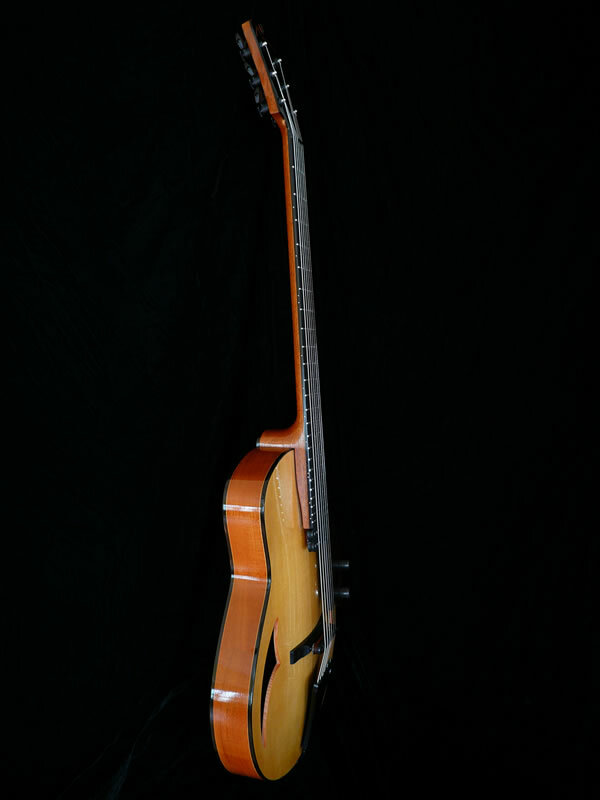 She’s fully acoustic/electric with a floating magnetic pickup and all premium, solid wood construction. 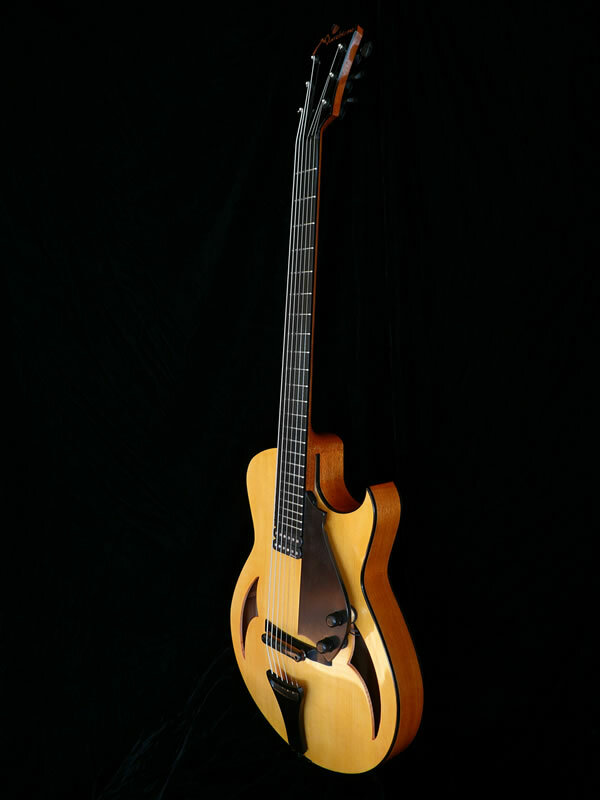 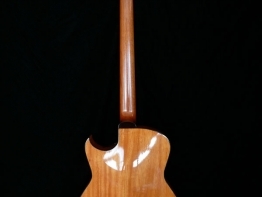 Based on the design of my original 15″ Archtop guitar, this instrument, however, is unique in that I”ve extended the scale length from the typical 25.5″ up to 28.59″. 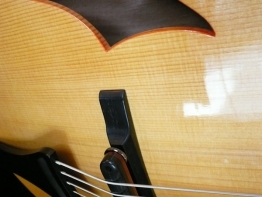 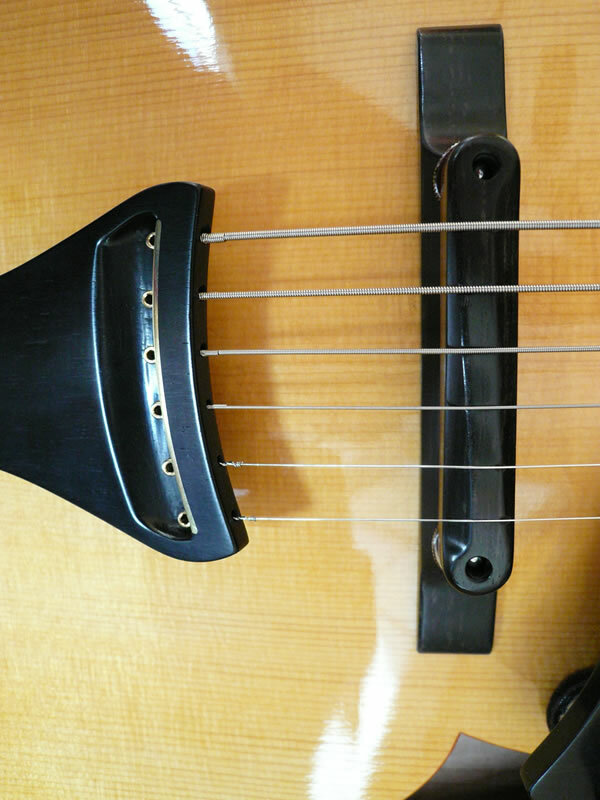 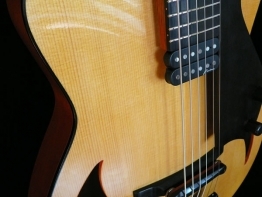 This altercation is what creates this small Archtop’s fat, low-end, and rich tonal spectrum. 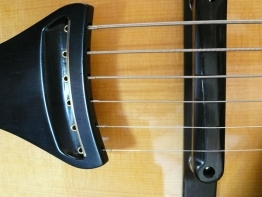 My Baritone Archtop is intended to be tuned to A or B and is a great addition to any fine guitarist’s well-stocked quiver! 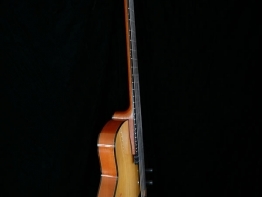 If I had to compare this guitar to a bowed string instrument I would say it represents the Cello in function. 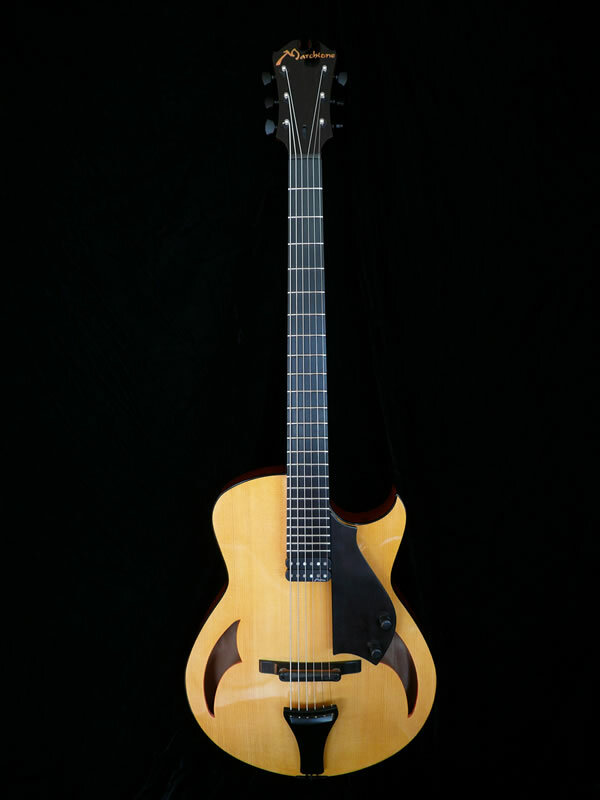 My 15″ baritone Archtop’s timbre is gorgeous, exploring the bass register while still allowing brilliant treble guitar tones. 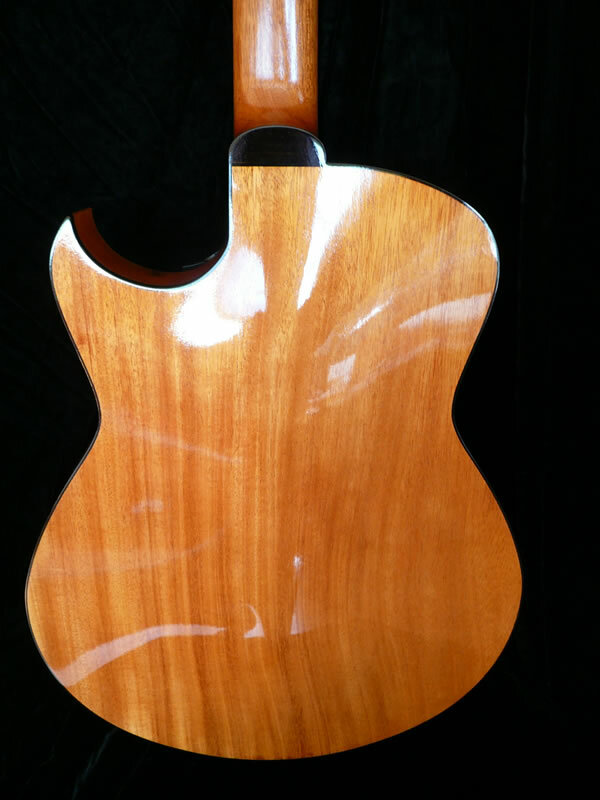 Like my other Archtop guitars, it will be available in a variety of colors and finishes. 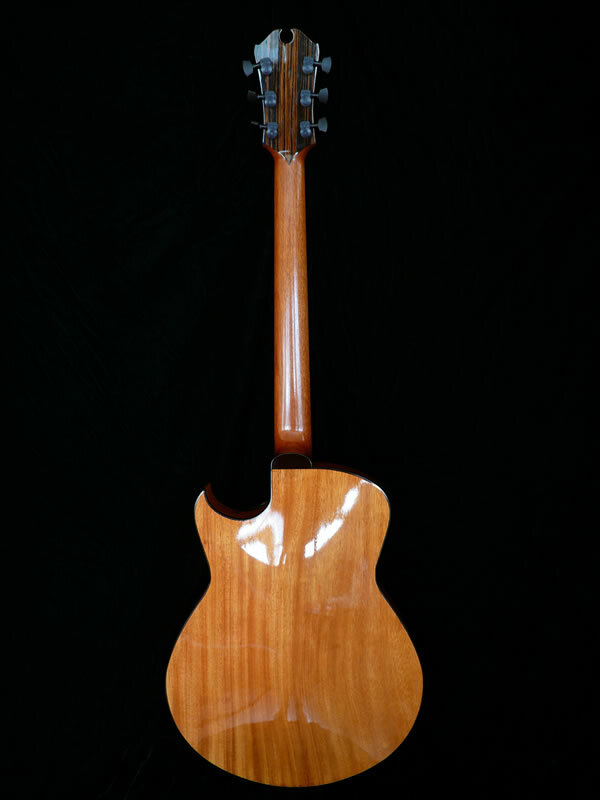 The top of the body is made from only the best quality Engelmann or Alpine Spruce while the back and sides are constructed from the most resonant cuts of the best, obtainable European and American Maple or African Mahogany. 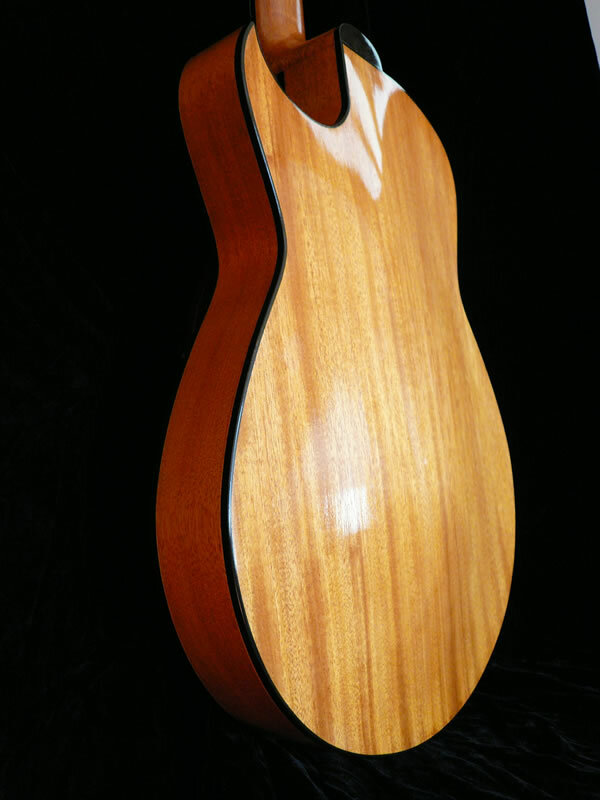 The lengthened neck is made of Sugar Maple or Honduras Mahogany and features an exceptional cut of African Ebony for the fingerboard. 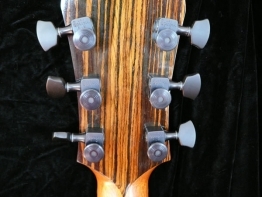 Additionally, the tailpiece, headstock plate and pickguard are also made of African Ebony and feature both Mother of Pearl and Zulu Wood inlays. 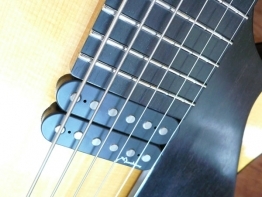 It is fretted with stainless steel fret wire and this in conjunction with the solid Ebony fingerboard produces an incomparably grand tone. 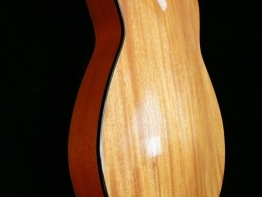 As always, I hand plane all surfaces and use hot hide glue, never compromising quality and materials. 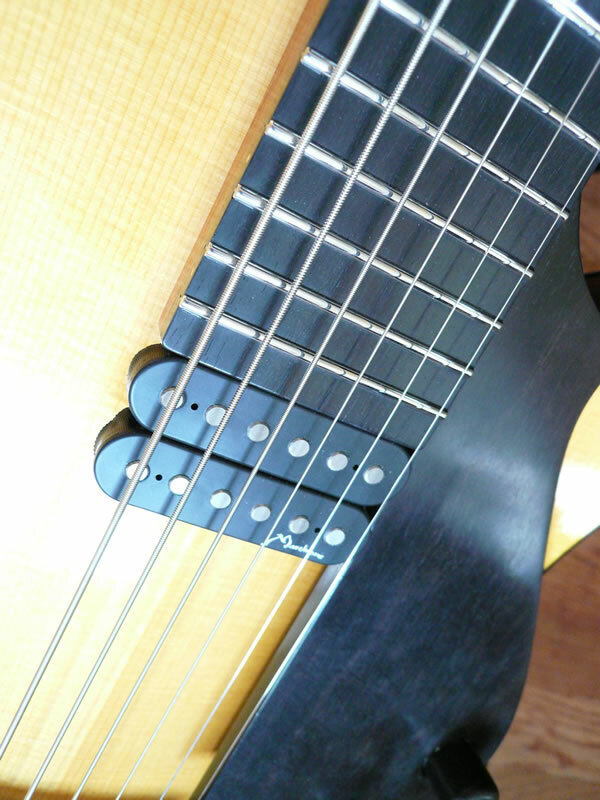 I use Sperzel locking machine heads. 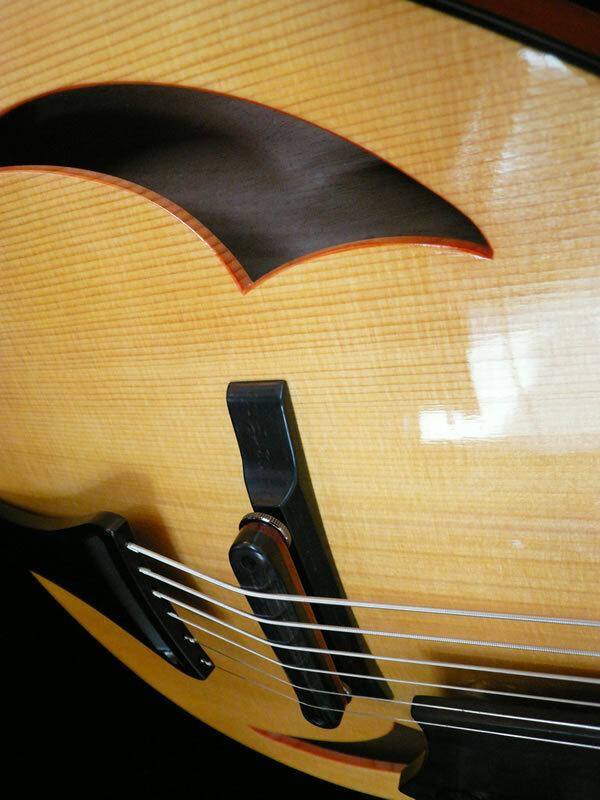 My Archtops have tremendous projection and give you a broad, pleasing voice at full acoustic volume. 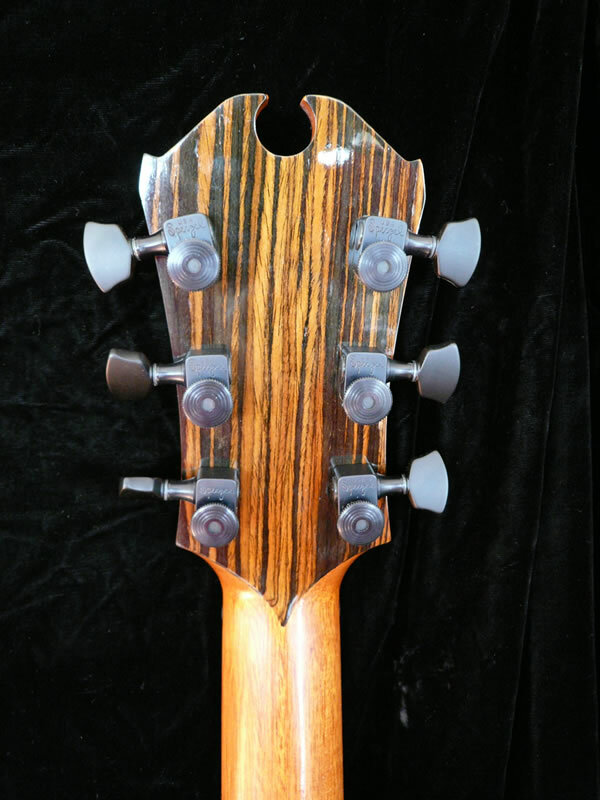 My detail work and experience consistently give you a neck that’s stable, reliable, and easy to play. 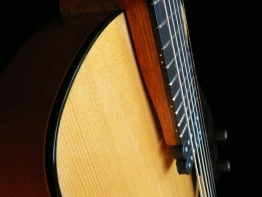 The design and construction of my instruments is strongly influenced by the great guitars of the past, which I examined at length, from D’Aquistos to D’Angelicos, and Fletas to Contreras. 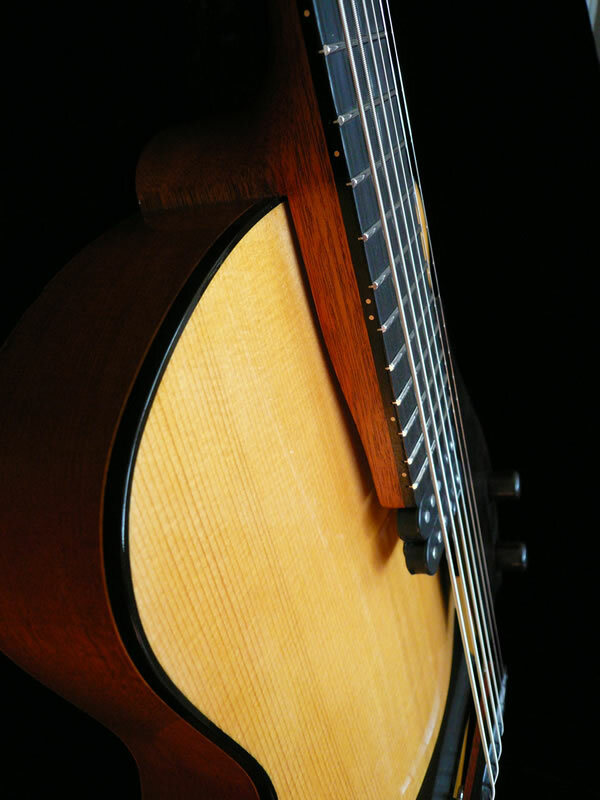 I invite you to try playing this unusual yet elegant design. 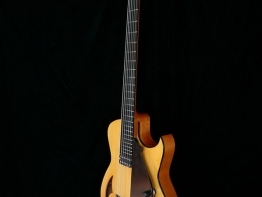 Luxurious and unique, the astounding quality of this instrument will encourage awe and envy in those who behold it and manifest excitement and joy in those who own and play it. 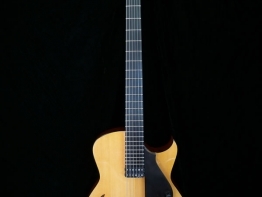 Nail a bull’s eye with the NEW Marchione Baritone Archtop! 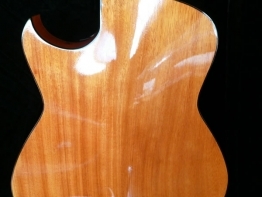 For the original owner, I guarantee materials and workmanship for the life of the instrument.